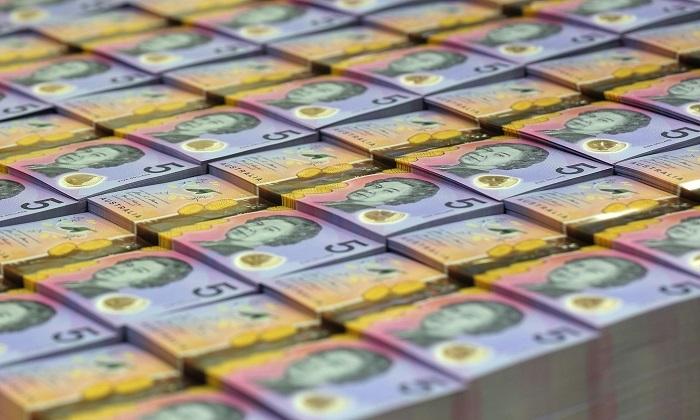 The Australian government’s $144 billion package for income tax cuts was passed in parliament on Thursday. The centre-right Coalition government’s tax cut package was opposed in part by Labor, but passed Senate without changes with the support of One Nation and Centre Alliance parties. “Today we have seen a massive win for hard-working Australian families. They will be able to keep more of the money they earn,” he said in parliament. The multi-billion dollar package, announced as part of the 2018-19 budget, is comprised of a three-stage, seven-year plan. The first stage will give low- and middle-income earners a new tax offset starting July 1. People earning up to $37,000 a year will receive a maximum offset of $200, while taxpayers earning between $37,000 to $90,000 are entitled to a maximum offset of $530. People will be able to claim this tax relief up until the 2021-22 income year. The offset is in addition to existing offsets for low-income taxpayers and will be paid as a lump sum payment after a tax return is lodged. Therefore, the rebate will start being paid from the middle of next year onwards after people lodge their 2018-19 tax return. Stage two of the plan, also starting on July 1, will provide bracket creep relief to middle-income Australians earning between $37,000 to $120,000. The top threshold for the 19 percent tax bracket will be increased from $37,000 to $41,000, providing a tax cut of up to $540 a year. The 32.5 percent tax bracket will also be expanded to raise the top threshold from $87,000 to $90,000. This amounts to a saving of about $135 per year for three million Australians. Fours years down the line, the next set of changes aimed at flattening the tax brackets will take effect. From July 2022, the top threshold for the 32.5 percent tax bracket will be increased again, from $90,000 to $120,000, producing a tax cut of up to $1,350 a year. Then two years later, the 37 percent tax bracket will be abolished altogether by raising the top threshold for the 32.5 percent tax bracket to $200,000. The move will mean that Australians earning between $41,000 to $200,000 —94 percent of all taxpayers—will pay the same rate of tax. Currently, 63 percent of taxpayers are expected to be on this rate, according to NewsCorp. Labor has vowed to scrap all but the first stage of the tax cut package—the $530 tax offsets to workers earning up to $90,000—if it wins the next election, reported the ABC, saying that the cuts were too generous to high-income earners. Before question time on Thursday, Prime Minister Turnbull said, “Our plan is not about creating winners and losers. It wasn’t designed to pit Australians against each other. “This is a plan that all Australians share in and will benefit from. It is a plan where all working Australians win. “Your income is your money. You earned it. You deserve to keep more of it. “It is fair, it rewards and encourages enterprise, it encourages and enables aspiration. That is what this is all about,” he said. There is reason to believe that the corpses on display have come from non-consenting Chinese citizens.